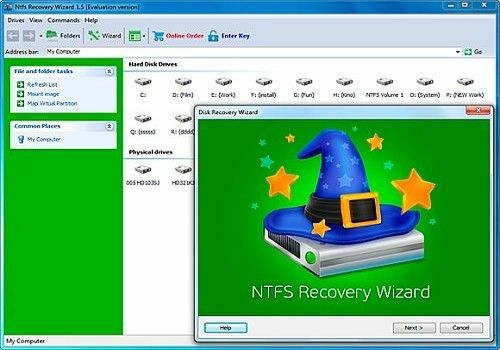 NTFS Recovery Wizard fixes NTFS hard drives and partitions. A simple wizard recovers lost and deleted files and restores problem-free disk operation in a few easy, automated steps. No need to know anything about the disks or file systems! Save your data and fix your disk completely on your own.